The hot season in Ha Long Bay is from May to Sept, temperature is 25 - 35 degree Celsius. The weather is extremely hot and sunny, but higher chance of showers or unforeseen cyclone. The elders’ saying” In cherry season don’t move out without a basket”, means arrive ready so you don’t even find yourself expending your vacation Vietnam on errands., if you plan ahead and work out your packing checklist and notes beforehand, you won’t even find yourself without the swimming suits whenever you get to a white sandy beach or struggling with tropics insects. You’ll need eyeglasses, sun glasses, contact lens and solution. Place all prescription and over-the-counter medication and also a first-aid kit, insect repellent in a plastic storage tote. Itineraries, tickets and any reservation confirmations in an readily accessible location like a day package. For beach days, package two swimsuits, one beach cover-up or massive T-shirt, two rash guards, one baseball hat or wide-brimmed sun hat and flip-flops or water-proof vases per traveler. Pack a sweatshirt or sweater for cold mornings and evenings, and also a nylon jacket if there's a chance of rain in the forecast. Be knowledgeable as to the poisonous Jelly Fish. Please look at the water to make sure that there are no Jelly fish before get in. In summertime, particularly May, June, July, before going to swim, you should ask the manual or captain for advice because it's when the poisonous jellyfish are active. Without prior notice, the cruise trip might be postponed, canceled or shortened due to unexpected bad weather. It's including Storm/ Typhoon (summertime), Foggy days (winter), Monsoon (winter). 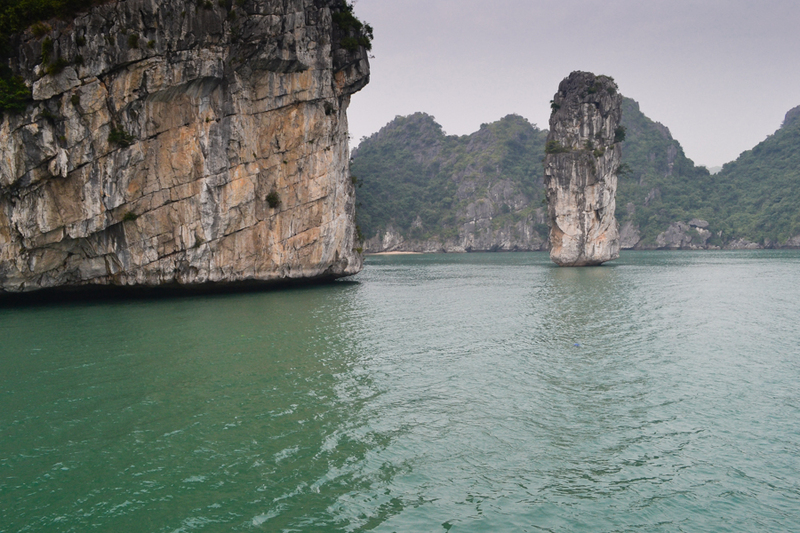 The cruise operation is out of Cruise Ha Long Company control so we imply that guests should assess the Weather. Check weather forecast at least 1 day before the cruise departure to get better preparation of backup plan. 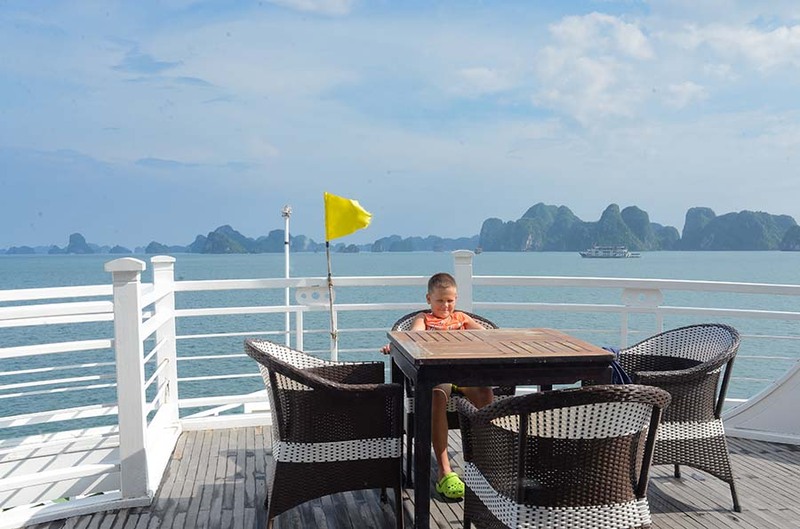 Or staying in a hotel or homestay in Ha Long city, and following that cruise the very following day cruise upon weather condition and ship availability. 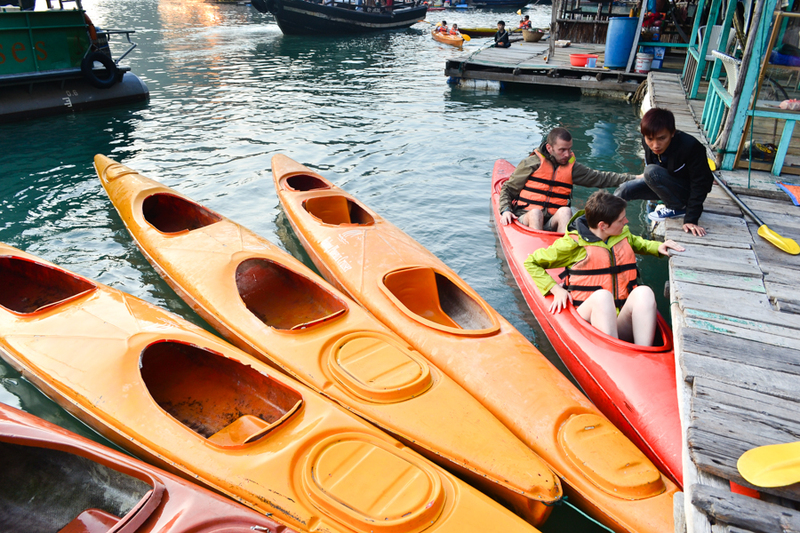 Kayaking is fun following the instruction of the tour guide in the amazing surroundings. You might be surprised by the beauty of limestone caves which may reach only by kayak. The water is lovely and refreshing when the sun is out, but exceptionally salty. Don’t forget wearing the life jacket even you can swim.